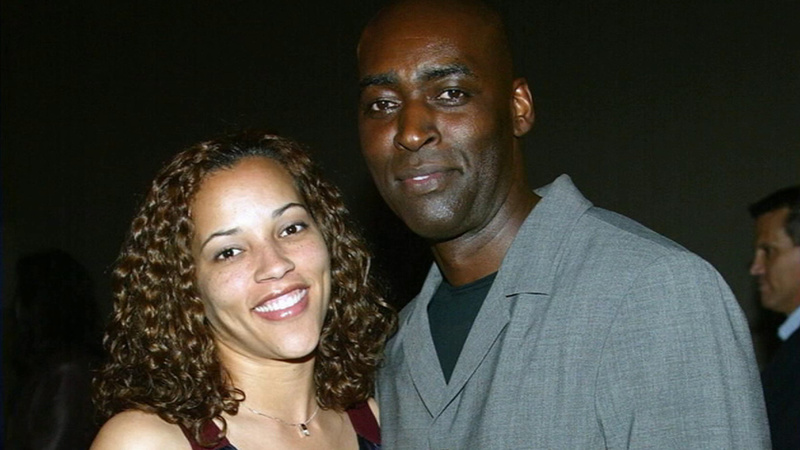 April and Michael Jace are shown in this undated file photo. LOS ANGELES -- Former "Shield" actor Michael Jace was sentenced to 40 years to life in prison in his wife's killing. A jury found the 53-year-old guilty in May of second degree murder. After deliberating for less than three hours over the course of two days, the jury also found true an allegation that Jace personally used a handgun. Jace admits to fatally shooting his wife in May 2014, once in the back and twice in the legs in their Hyde Park home. Before the sentence came down Friday morning, Jace told the court that there was "no justifications for my actions" when he shot his wife, April. He also turned to the family and said he was sorry. The 40-year sentence includes 15 years to life for the murder charge and 25 years to life for the gun enhancement. Soon after the attack, Jace told detectives that he had retrieved the gun to kill himself but couldn't go through with it. Instead, he planned to shoot his wife, an avid runner, in the leg so she would feel pain, Jace said in a recorded interview. Prosecutors cited testimony from the couple's 10-year-old son, who told jurors that he heard his father say, "'If you like running, then run to heaven,'" before firing the second gunshot. Jace's defense attorney Jamon Hicks asked for voluntary manslaughter, arguing that the killing was not planned and was in the heat of passion. However, a prosecutor told jurors that Jace was upset because his wife wanted a divorce and believed she was having an affair, although no evidence was presented during the trial that she was cheating. Jace portrayed a police officer in the FX series, "The Shield." He also had small roles in films such as "Planet of the Apes," "Boogie Nights" and "Forrest Gump."